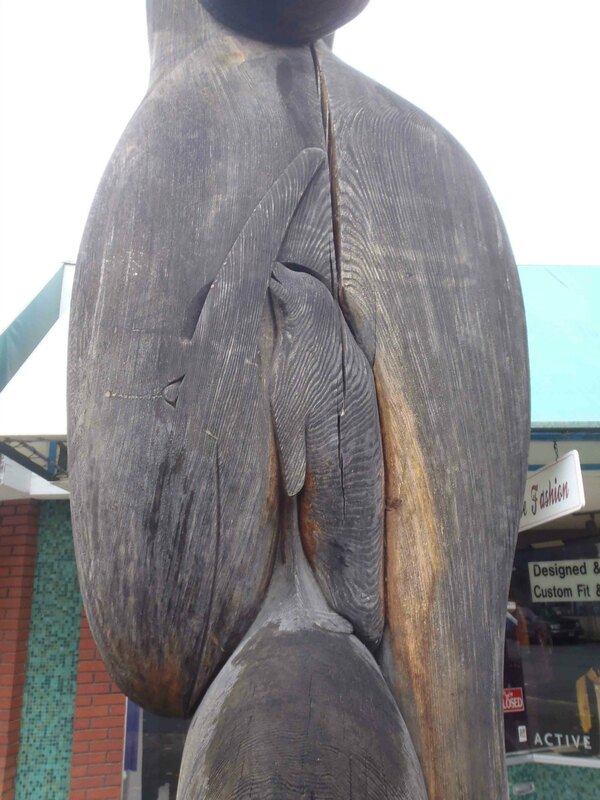 The Transition totem pole was carved in 1989 by David Marston. 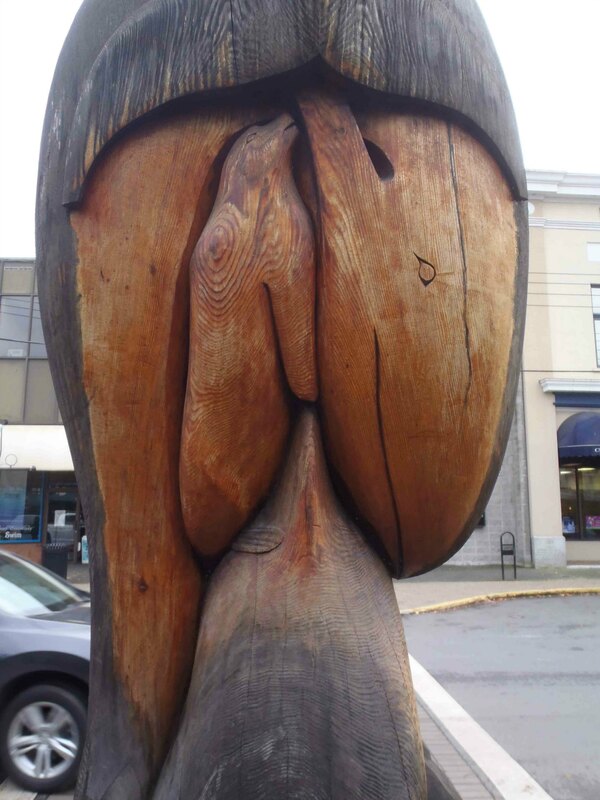 It is 5m (16’5″) and is displayed outside 47 Station Street, between Canada Avenue and Craig Street in downtown Duncan. 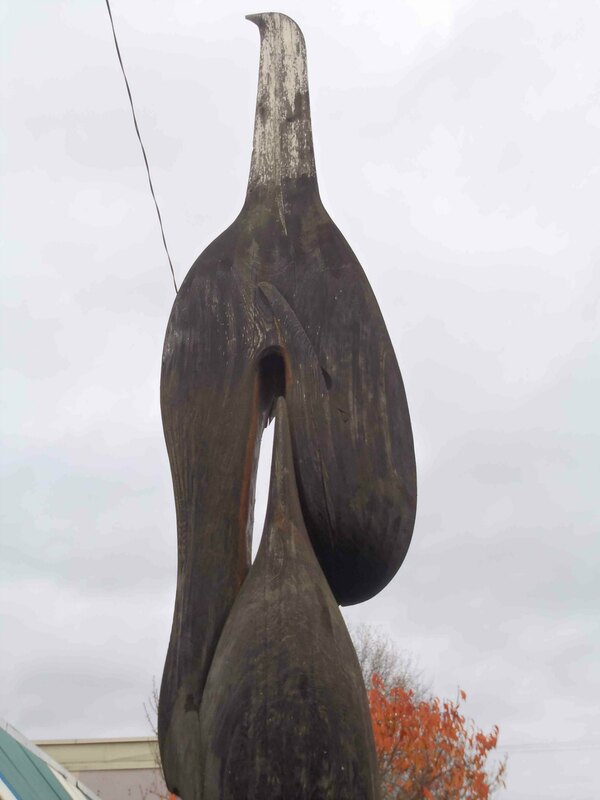 Carver david Marston explains that the pole is about personal growth and transition. 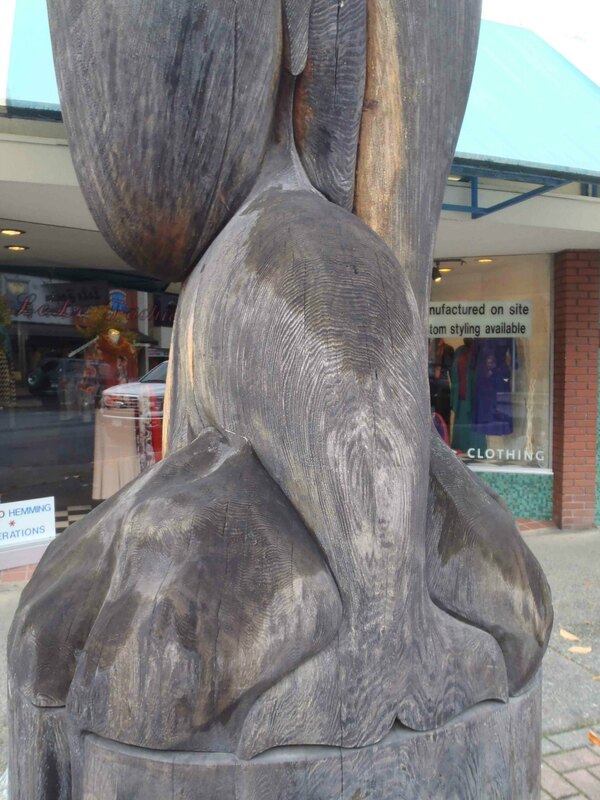 Transition totem pole, Killer Whale father figure, Station Street, Duncan, B.C. 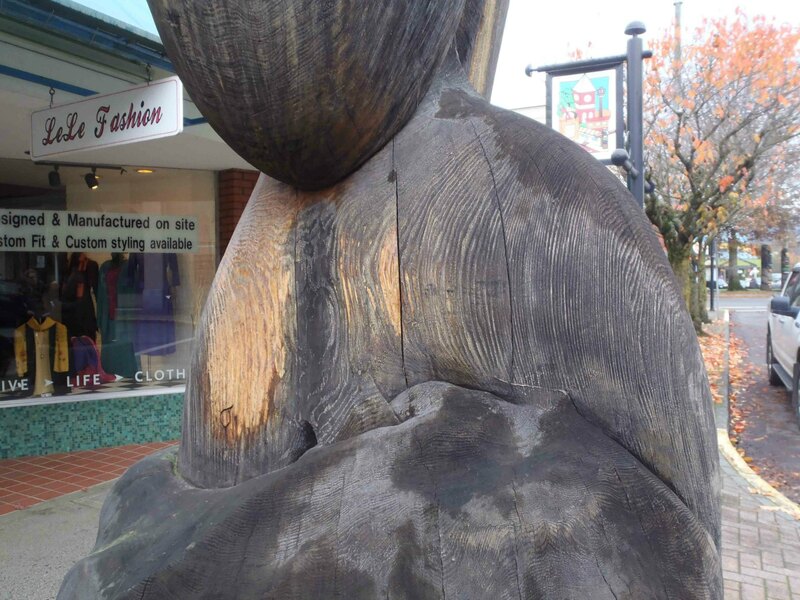 Transition totem pole, Killer Whale mother and Seal figures, Station Street, Duncan, B.C. 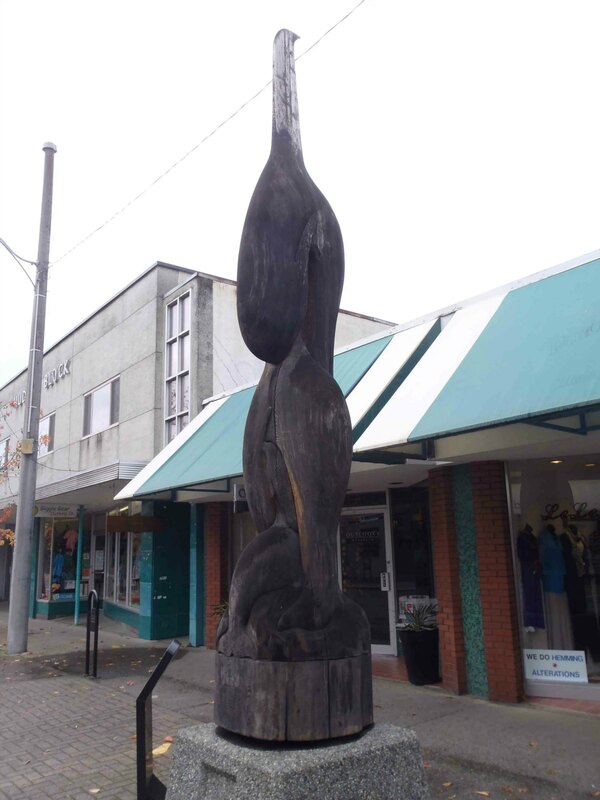 Transition totem pole, Killer Whale child figure, Station Street, Duncan, B.C.